Let’s talk about HTML5 Casinos! Whether you’re a veteran gambler or a novice player, if you’ve spent any amount of time browsing through online casinos, you’ve undoubtedly seen the term “HTML5”. For many people, it’s one of those terms that gets passed around, that you grow accustomed to seeing, but you never really quite understand what it means. The fact that a website makes use of HTML5 can have different pros and cons depending on the purpose of the particular site. When it comes to online casinos, HTML5 provides many benefits including greater speed, better compatibility, and most importantly, a higher level of security. It doesn’t matter where you are located: since the move from Adobe Flash player, most online casinos are migrating to HTML5. The ones that didn’t do it yet are in big trouble. First, let’s look at the basics of what HTML is. HTML stands for HyperText Markup Language. It is the foundation of the World Wide Web. HTML code is what your browser reads and interprets to display the web pages you see. It is a programming language, and like all programming languages, it is updated from time to time to include new functionality. HTML5 is the fifth version of the HTML language. In earlier versions of HTML, the language had many functions to manipulate text and images, but not so much when it came to audio and video. Because of this, web developers had to rely on third-party programs to handle audio and video content — such as the type you’d find in many casino games, for example. These programs were often clunky and insecure. Making things worse, if you wanted to play on multiple casinos, you often needed different software for each one. Remember those days? I certainly do! You may have noticed that some time ago it seemed like every website you visited was asking you to install another program or extension to make some functionality work. More recently, however, that doesn’t happen so often. This is because of new functionality available in HTML5. HTML5 makes it possible for web browsers to process much more complex audiovisual content without the need for extra programs or add-ons. Before HTML5, playing at any online casino on a mobile device was a complicated affair. Because of limited space and processing power, mobile browsers don’t support the installation of outside programs and special add-ons. This meant that if casinos wanted their players to be able to wager on mobile devices, they had to develop their own specific apps. This made things difficult and confusing for casino operators, game developers, and players. When HTML5 introduced new controls for audiovisual content, it became possible to remove all the complications in the middle. There was no longer a need for special apps developed for phones or tablets or Android or iOS, or whatever else was out there. Now everything could be done directly in the mobile browser, just like on a desktop. The website and the games could both be developed to work in any browser, on any device, without any external apps, programs, or add-ons. Best of all, everything could be put together in one package that would work across all browsers, and on all devices. Aside from the huge compatibility improvements, HTML5 also updated the language to fit better into the new world of touchscreens. If you’ve ever tried to play a game that was designed for a mouse with a touchscreen, you surely know what a colossal improvement this was. One of the major problems with online casinos before the advent of HTML5 was serious security risks brought on by the use of various external programs and browser add-ons. Game designers tried many different programming methods to keep their software secure, but, over the years, security holes have been found in just about all of them — some of them unable to be fixed. One of the biggest offenders is the well-known Flash browser add-on. Because Flash was the most popular method for displaying audiovisual content in a browser, it became the number one target for hackers. The result was that the Flash player had to be continuously updated to patch what seemed like an endless list of vulnerabilities. Those patches only worked, however, if users actually applied them; which many didn’t. It has been used as a pathway to inject viruses onto the computers of unsuspecting users. Or to commit different forms of fraud against both businesses and web users. Also used to steal information from countless people who’ve had their identities stolen, their credit cards maxed out, and their bank accounts emptied. As the online casinos have steadily switched over to HTML5 gambling games, it removes nearly all of the risk of security breaches for the players. The HTML5 language itself was created by a worldwide community. It is scrutinised by thousands of developers who are always looking for problems that need to be fixed. In the vast majority of cases, any problems or vulnerabilities are fixed before hackers ever have a chance to exploit them. Another significant advantage to HTML5 casinos and games is that they simply provide a better gaming experience. The new functionality built into the language allows for better quality audio as well as higher resolution graphics and animation than the plugins and add-ons used in the past. It even requires less processing power to get the job done. In most cases, HTML5 designs will load faster too. Since everything is processed directly in the browser instead of a third-party program, there’s less passing things back and forth in memory and much less work for your device to do. The end result is that you’ll get into your game faster, and experience higher quality designs. In the end, HTML5 is a huge step forward for both the online casino industry and the players. HTML5 casinos provide a better experience, available to more people, compatible with more devices, and they make the entire process safer for everyone involved. You will still run across some older games that require Flash to run, but if you can do so, you should remove or at least disable Flash in your browser. It’s not the games that are dangerous, it’s having the Flash plugin installed and enabled that’s dangerous. 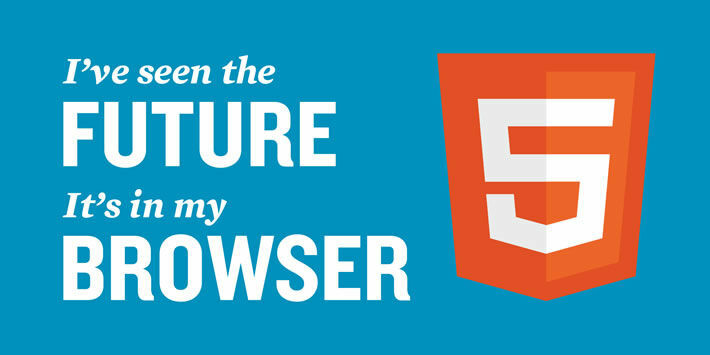 All of the modern browser developers are doing their best to eliminate Flash from the web. For your own sake, you should follow their lead. One thing that works mentioning though, is that UK online casinos and Australian online casinos are ahead than their USA counterparts. USA online casinos with no download required are in between, improving slowly but steadily. Cheers and good luck my fellow gamblers!